A Managing Director in the Benefit Investments Department at J.C. Penncy Company in Dallas. He joined J.C. Penney in June 1990. Mr. Halpern is a graduate in Anthropology from Grinnel College and holds an M.B.A. in Finance from UCLA. Recent publichations on investment topics have appeared in the Journal of Portfolio Management and other professional journals. 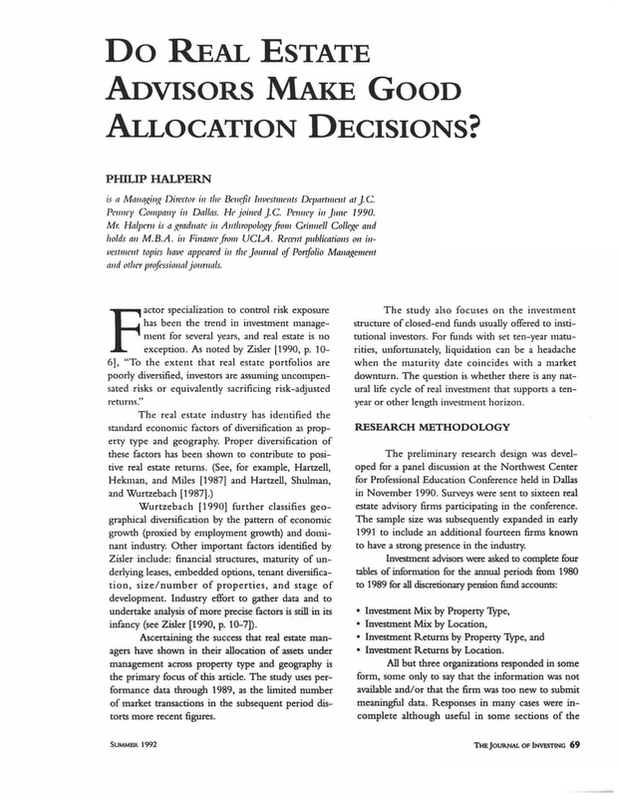 You are going to email the following Do Real Estate Advisors Make Good Allocation Decisions?